An award-winning husband-wife duo, Two of a Kind presents concerts for families and children of all ages, including songs, puppets, movement, and stories - all with an emphasis on interaction and participation. 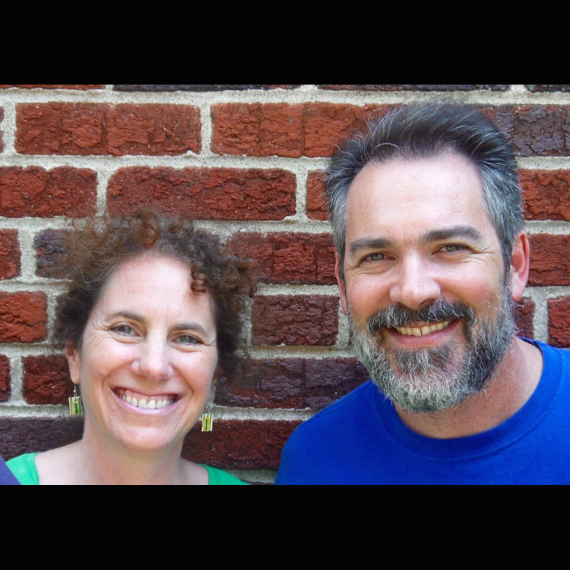 Two of a Kind is David & Jenny Heitler-Klevans, a husband & wife duo who have been making music for kids and families for over 28 years. Themes of songs and stories range from reading & books, friendship and animals to social issues such as the environment, conflict resolution and diversity. Two of a Kind helps audiences of all ages feel that they can create music and that they can make a difference in the world. David & Jenny have released 9 CDs & 1 DVD for kids, garnering over 20 national awards. They wrote a musical for kids in 2017, entitled "The World is Not Your Garbage Can."